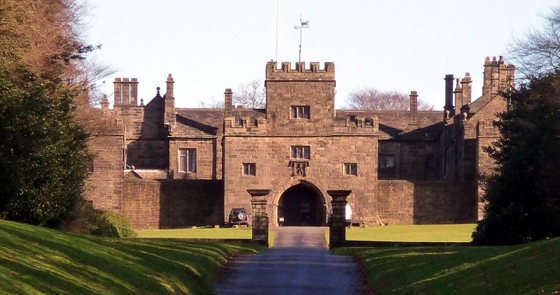 The idea of holding a National Masonic Championships was first mentioned by the Province of West Lancashire in 1999 and the event was planned for 2001 using the stately home Hoghton Towers Nr Preston. It was here that Henry viii knighted a side of beef and thus was born sirloin. There was then a huge problem. Britain suffered an outbreak of foot and mouth disease and the committee felt in inappropriate bring people from all over the country for a shoot. Inevitable it was cancelled and rearranged for 2002.This first Shoot was a huge success with 11 Provinces represented, although not all had full teams, and over 100 guns taking part. With success under our belts we agreed to run the event in 2004 again using Hoghton Towers and including a guest lunch. This was also a success by way of entries and provinces represented however the weather was not kind. Pouring rain made the event miserable and the score cards difficult to read. Not to be deterred they battled on and hosted the competition again in 2006 at Leighton Hall Carnforth the home of the famous Gillow furniture family. Entries and dignitaries came from far and near and they again experienced a torrential downpour. Traps were dislodged, tents blown away and the score cards unreadable. However they got there in the end and all went away wet but happy; apart from 1 person who complained that he had taken 3 and a half hours to shoot 100 targets. Under the circumstances it was a miracle that he finished that quickly. 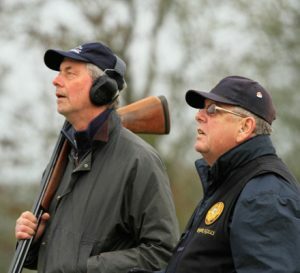 The Province of Surrey agreed to host the 4th Championships at Bisley in 2007. In 2008 Lest Lancashire again hosted the competition. But learned from their mistakes. 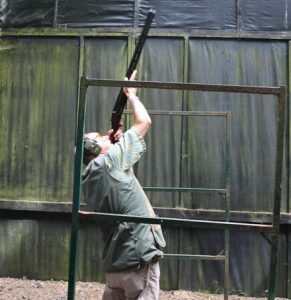 Firstly they held it at an existing shooting ground, no traps to move or clays to buy, and secondly they used waterproof score cards which were not necessary as there was only one light shower. Since then the competition has been held annually all over the country. Competitors have travelled to Plymouth and Canterbury, to High Wycombe and Gloucester all to help support and promote a Competition started by West Lancashire – a competition of which they are very proud. Last year’s Championship was the biggest yet with 134 Entries from 17 Provinces. What will this year bring? BUCKINGHAMSHIRE MASONIC C.P.S.A. 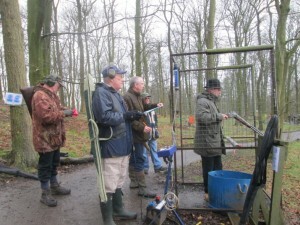 Charity Clay Shoot Report. 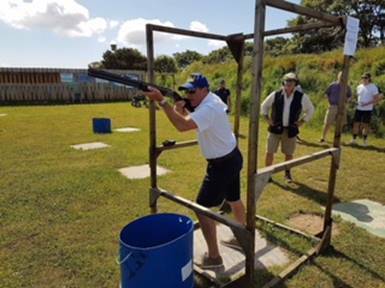 © National Association of Masonic Clay Shooting Societies.2016.